Dr.Sierra joined his family’s dental practice in 2004 in Pasadena, TX and loves working with patients to improve their smiles and lives. Dr.Sierra grew up in League City, and graduated from Clear Creek HS. He obtained his undergraduate degree from Austin College. 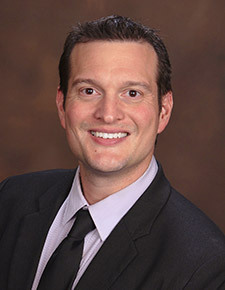 Dr.Sierra earned his Doctor of Dental Surgery from The University of Texas Health Science Center at San Antonio with research interests in Implantology. Since his graduation, Dr.Sierra continues to take advantage of all learning opportunities. He has taken over 1,200 hours of continuing education. He is one of only a few dentists who has achieved the titles of Fellow of the Academy of General Dentistry and Fellow of the International Congress of Oral Implantology. He is also a Master of the International Dental Implant Association. Dr.Sierra is an active member of the American Dental Association, the Texas Dental Association, the Greater Houston Dental Society, Academy of General Dentistry, and American Academy of Cosmetic Dentistry. Dr Sierra has a passion for esthetic and restorative dentistry using digital 3D technology. He has served as a mentor at the Scottsdale Center and as a trainer and beta tester for CEREC CAD/CAM crowns and veneers. Dr Sierra is also a preferred provider for Invisalign and Six Month Braces. Dr Sierra is laser dentistry certified and uses laser technology in diagnosis,and treatment allowing for greater patient comfort and eliminating the need for anesthesia for many procedures. He is among 200 US Dentists trained in the trademarked Nightlase procedure,which is a revolutionary non-surgical treatment to eliminate snoring as well as the trademarked Smoothlase, which is a natural, non-invasive treatment to reduce facial wrinkles by laser stimulating natural collagen formation in the face, cheek, neck and lips.Dr Sierra is also on the cutting edge in 3D printed surgical guided Dental Implant Surgery and All-on-Four teeth replacement solutions and has both level 2 conscious sedation (sleep dentistry) and nitrous oxide permits. Dr Sierra holds advanced cardiac lifesupport, pediatric advanced lifesupport, and CPR permits. Dr.Sierra is married to Dr.Crystal A.Sierra, a pediatrician at UTMB Pediatric Associates in Friendswood. They have two beautiful daughters, Gabriella and Francesca. Dr.Sierra enjoys spending time with family and traveling. He also enjoys crossfit, participating in triathlons, and running in marathons. He has completed15 so far!He is excited to engage in the Friendswood community, and share his knowledge and expertise in the field of dentistry.